Great weather? Rewarding good behavior? Play date? There never really needs to be a good reason to take your furry friend to a dog park. It is always fun for them and can be a great time for your whole family as well! Here are some of the best dog parks in the Fairfax area. 15150 Old Lee Rd Chantilly, VA – With two separate areas for large and smaller dogs, this is a great open dog park in the Chantilly area. Open from dawn until dusk, owners say that this is a great and often busy place for dogs to socialize! The surface can often be a bit on the gravely side, so owners should be mindful of dogs with sensitive feet. This expansive space is great for those in the Dulles corridor! Alpine Drive and Pinecrest Parkway, Annandale – Near Columbia Elementary School. Located within Mason Park, an already-leashed dog-friendly park, this is one of the largest dog parks in the Fairfax area. Owners enjoy a community atmosphere here, but there is lack of shelter from the sun, so remember sunscreen if it is a bright day. Follow signage to find the dog park, as many owners say it can be a bit confusing to find within the large park. 700 Courthouse Road, Vienna – Right off of Maple Ave in the heart of Vienna, this dog park is a haven for pets and their owners. One of it is major boasts is generous tree coverage, casting comfy shade for hotter days. This park even has agility equipment to put your pup to the test! Mulch and fully enclosed gates make this an excellent destination. Alternate parking available near the Nottoway Park basketball courts up the road on particularly busy days. Open from dawn until dusk. 11300 Baron Cameron Drive, Reston – This dog park is another great location to bring smaller dogs who do not like to be around bigger pets. Like Rock Hill Park, there is a separate area for tiny pups to play with friends their own size. Owners enjoy a seat in the cool shade while their pets play on the gravel surface. Many owners find their dogs get a little dusty, but the fun they have is worth it! 10033 Blake Lane, Oakton – Blake Lane Dog Park is small, but very grassy. This can make for quite a muddy situation on rainy days, though. Featuring a fenced in area of 30 sq yards, this is a great option for those who do not want to travel far in the Oakton area. With non fenced nature pathways for leashed walks, owners say that the park is a great place to take their fun-loving dogs. 7500 Accotink Park Road, Springfield – While Lake Accotink Park does not have a fenced in, off leash area for dogs, the park does host and offer many classes and activities for dogs and their owners. Agility courses, obedience lessons, and even doggie cruises! That is right. Dog cruises. You and your pet can hang out in style with other pets and their owners as you make your way across the waters of Lake Accotink! Visit Fairfax County Park Authority’s website to find out more about the Parktakes program. 99 Adams St, Manassas Park – For pet owners in or near Manassas, this is a great place for dogs to hang out. It features a fenced in area for both large and small dogs. Let your pet interact with other furry friends without having to leave the Manassas area! Located near the Manassas Park Community Center. A trip to the park can be great exercise for you and your dog, but also a great bonding activity for the entire family. Many of the parks listed above feature a multitude of activities for both adults and children. Plan an entire day of activities, with no need to leave your favorite furry friend at home. And of course, always remember to keep dogs leashed until safely within specifically marked areas, and always please clean up after your pets if they make any sort of mess. 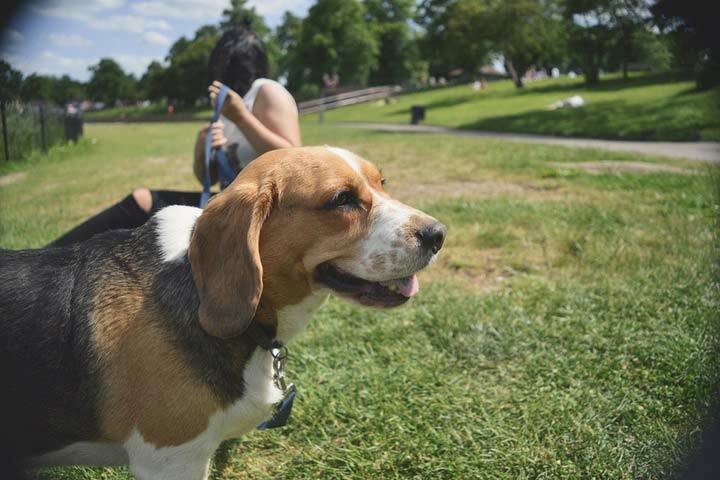 Setting a good example by picking up after your pet is not only good for the park overall, but also shows children and other pet owners how to best take care of their current and future pets. New parks pop up periodically, so make sure to keep eyes peeled for a new dog park opening near you!